Our relationship with Saint Theresia Kuruk Primary School, in Mount Hagen, Papua New Guinea (PNG), began with Paul Ogil. He used to work as a security guard at our university. One day when he was on duty, he came to open the room so that we could load some of the stored computers for a school in Fiji. As we began our work, Paul became very inquisitive. He wanted to know where the computers were going. We responded to his question and told him more about our project. 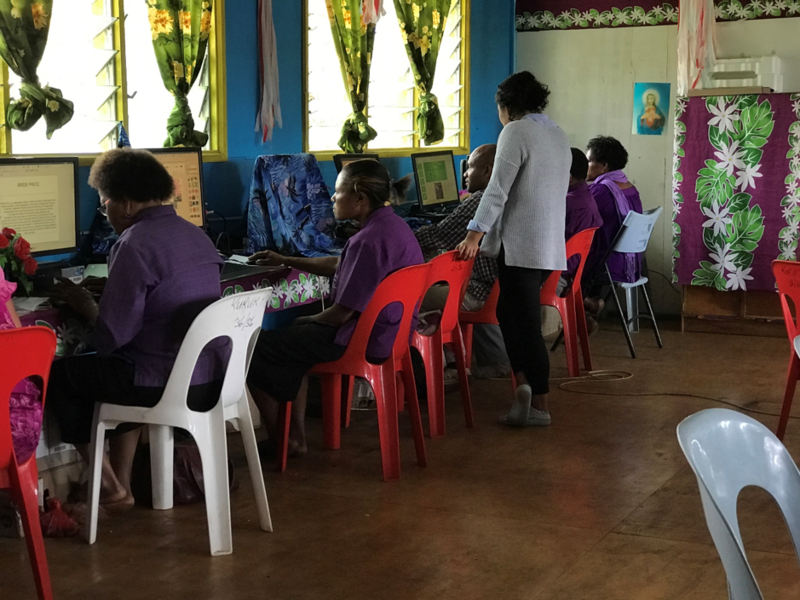 Almost immediately he said it would be nice if computers were also donated to his former primary school in Mount Hagen. We were buoyed by the interest and enthusiasm that was shown by Paul. He strongly believed that we all lived in “a global village” but the odds for full participation were “were stacked against” many citizens from developing countries. However, he felt that fluency in digital technologies had the potential to “level the playing field”, particularly in the jobs market. According to Paul, the first-time students got a chance to use technologies in PNG was when they got to university. For the majority of young Papua New Guineans, such an opportunity did not exist because there were no technologies in schools. We agreed in principle to support him, with the proviso that if he could find a way to transport the computers, we would find computers for him. Little did we know that this meeting with Paul would give the SEE Project a new direction and challenge with no grant money or university students. It demonstrates the potential of a good partnership. Here is a report that was compiled by Paul in late 2017. 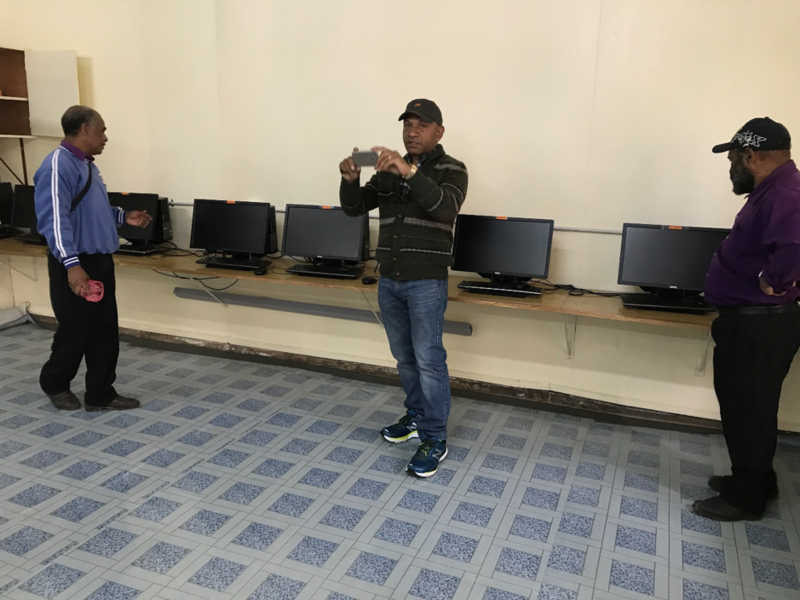 The project incorporates two aspects; supply of hardware and software training for the relevant primary school teachers to enable the teaching of students. 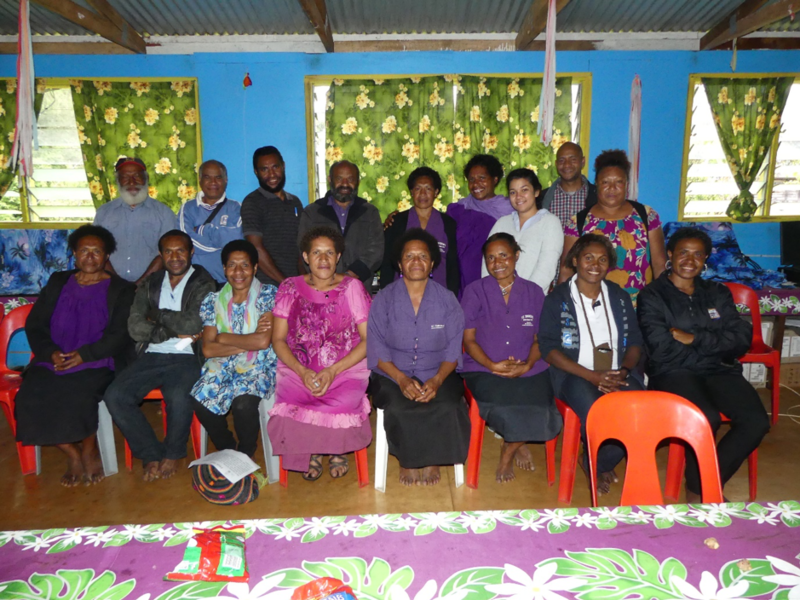 The first training, facilitated by Dr Vinesh Chandra and Matthew Brown was conducted in Mt Hagen in late 2016. The second training facilitated by Christa Miyoni was held at Kuruk Primary for all three schools in August 2017. The school and business community have enabled the project by assisting with direct costs, local knowledge and in-kind contribution. Sponsored transportation by Hastings Deering (PNG) of computers from Brisbane to Lae, organised by Kelly Kerua (Sales Manager – Parts). 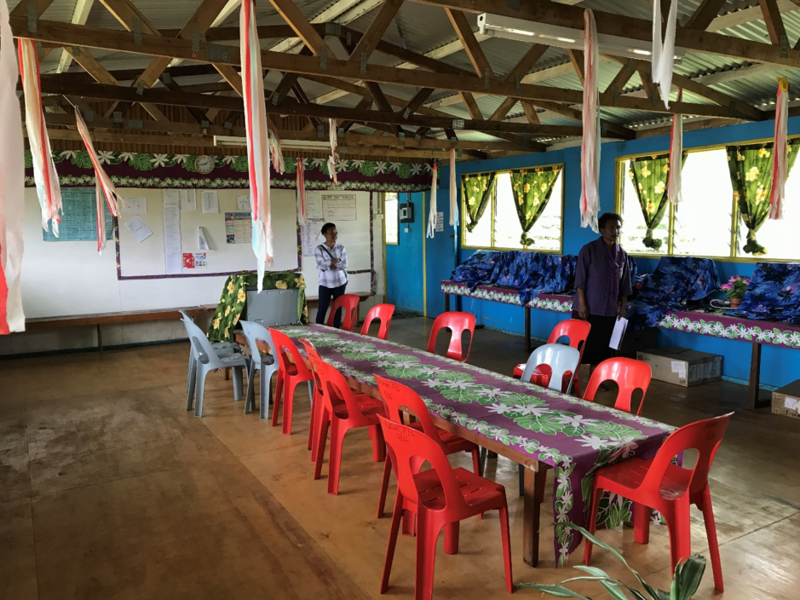 Payment and arrangement by the respective schools for on-ground transport of computers from Lae to Mt Hagen, (a difficult 12-hour trip). Organisation of first training session with venue and logistics for QUT staff facilitators. Kuruk Primary met with costs for flights and accommodation on the first trip. Trainer Christa Miyoni’s flights and accommodation were paid for by Peter Mughkerhegl (a local businessman) and meals were paid for by the three Primary Schools. Holy Trinity Demonstration Primary School have the support of a local company to run the cables for the computers. The first training sessions covered basic use of the computer hardware and how the Edubuntu system worked. They also went through some pre – loaded programs like Tux Math, Tux Typing and Tux Typing to get the teachers started. The teachers were showed how to access programs in Libre office. This is a powerful office suite that includes: Writer (word processing), Calc (spreadsheets), Impress (presentations), Draw (vector graphics and flowcharts), Base (databases) and Math (formula editing). Most of the time was spend on word processing. Teachers also had the chance to explore the educational potential of Scratch that can be used to create games and a range of other digital artefacts. A highlight was showing teachers how to access and develop research activities with the SEE box. The second training block provided a selected number of teachers with the opportunity to learn basic computer skills such as touch typing and work with Office. Teachers went through the process of creating an E-Book in Office, that illustrated the use of text boxes, inserting photographs, and creating a storyline on an issue within their community. At the conclusion of the two-day development teachers and their classes were challenged to create an E-Book to return to Australia that would help create a long-term international connection with another school and the possibility of a hard copy of their book. Teachers were given a due date of November to finalise their E-Book and submit to the facilitator Christa Miyoni and the teachers have shown their keenness to participate in this. Follow up support has taken the form of informal contact from time to time via Facebook. Support and monitoring of training to ensure ongoing use and maintenance of the computers is pivotal for the successful longevity and impact of the project. Direct benefit to current and future students is the desired outcome of the project. 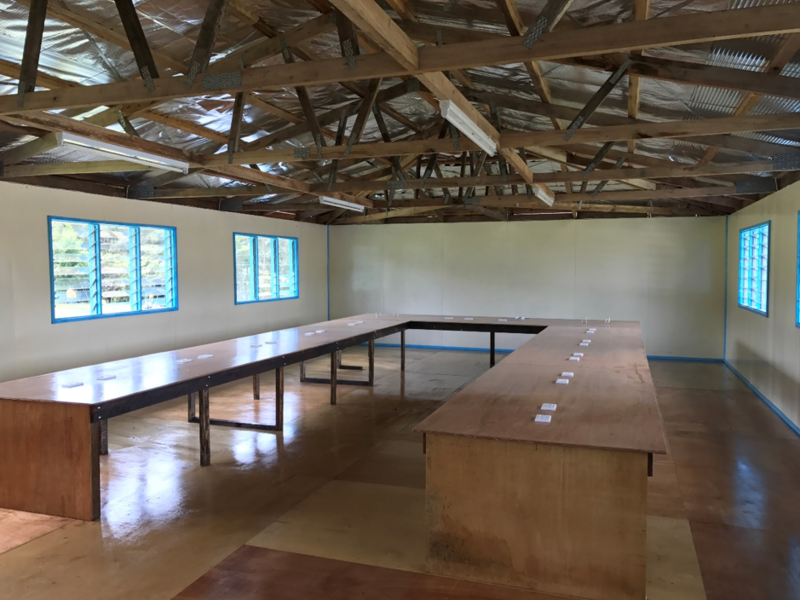 There is an opportunity for more schools to be involved with this project, not only in Mt Hagen but in other areas of PNG. If the community support and enthusiasm can be replicated in other areas then this can occur. Community and business support both in PNG and Australia will be continued to be generated and fostered for maintaining and hopefully expansion of the project. Support from the PNG Government would also assist in the project’s development and sustainability. Inside the computer lab at Holy Trinity Demonstration Primary School. From L-R: Mr Robinson Bulema, Principal of Holy Trinity Demonstration Primary School, Paul Ogil and Andrew Collin, Principal of Kuruk Primary School. Participating teachers from three schools at the professional develop sessions: Christa Miyoni (Standing -third on the right), Principals from Holy Trinity Demonstration Primary School, Robinson Bulema (Standing – Second on the left), and Kuruk Primary School, Andrew Collin (Standing – fourth on the left). 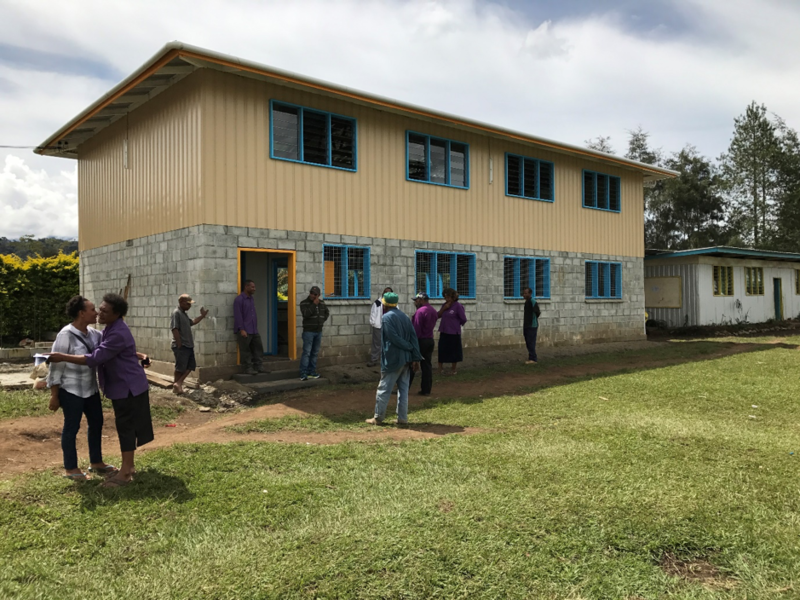 This entry was posted in 2017, Kuruk Primary School, PNG and tagged Kuruk Primary School, Mount Hagen, PNG. Bookmark the permalink.